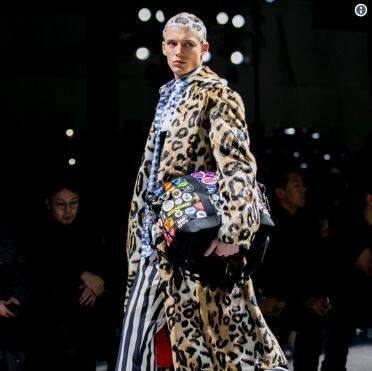 MILAN – Ford went from roadway to runway today when Versace unveiled a collection of fashions that paid homage to one of America’s most iconic automotive brands. 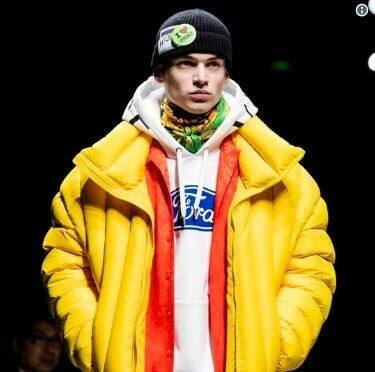 The clothing designer reimagined Ford’s blue-oval logo in a series of ensembles and accessories as part of its wider Fall Winter 2019 (FW19) menswear line. The Ford collaboration complements Versace’s collection, which portrays the different sides to the modern man. Ford is recognized as one of the world’s most iconic brands that made mobility accessible and gave rise to a new middle class. The Versace x Ford capsule collection features the Ford logo printed on denim looks, sweatshirts, T-shirts and jewelry – a limited-edition capsule that reminisces on the days of a young man who discovers himself through his most prized possession – his car. The capsule will be launched in a limited edition collection. It will be sold across Versace boutiques worldwide when the FW19 collection drops in store.